Many wineries throughout Sonoma County have started picking fruit this week for their still wines, including several wineries who harvested Sauvignon Blanc in Dry Creek Valley, as well as Russian River Valley andSonoma Valley have also brought in fruit. 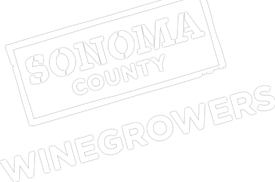 Cooler temperatures throughout Sonoma County in late July and early August have slowed the pace of grape ripening, allowing more time for fruit to mature on the vines and giving winegrowers and winemakers more time to prepare. However, the warmer climate regions like Dry Creek Valley and Alexander Valley have also benefited from last week’s hot weather (mid to high 90’s) with many growers anticipating an early harvest start date around mid-to late September. Cooler climate regions, like Russian River Valley and Sonoma Coast, are forecasting a start date closer to normal in early September.